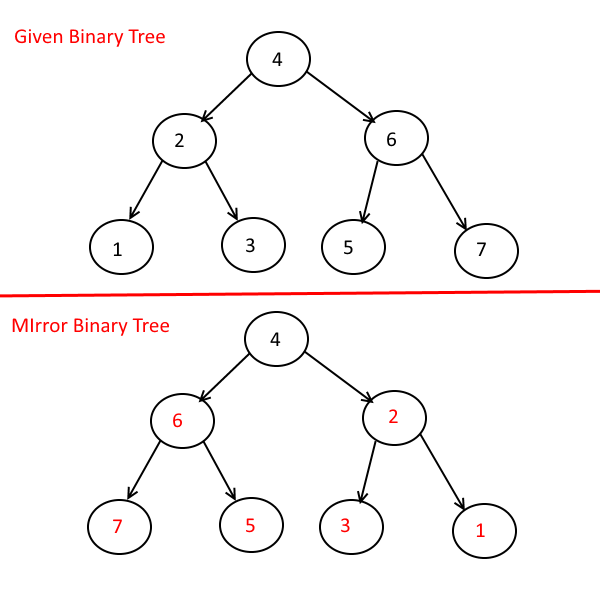 Mirror Tree: Mirror Tree of a binary tree is where left and right child of every node of given binary tree is interexchanged. Starting from the root, swap the left and right childs. Recursively call the same procedure in the leftsubtree and right subtree. Next story Given a Sorted Singly Linked List Array, Convert it into a Balanced Binary search Tree. Previous story Given a binary tree, Print All the Nodes that don’t have Siblings. 227 queries in 3.462 seconds.